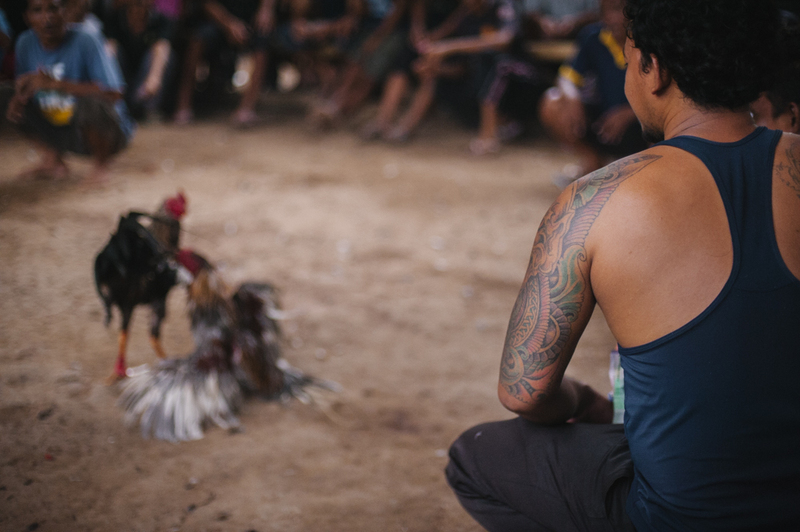 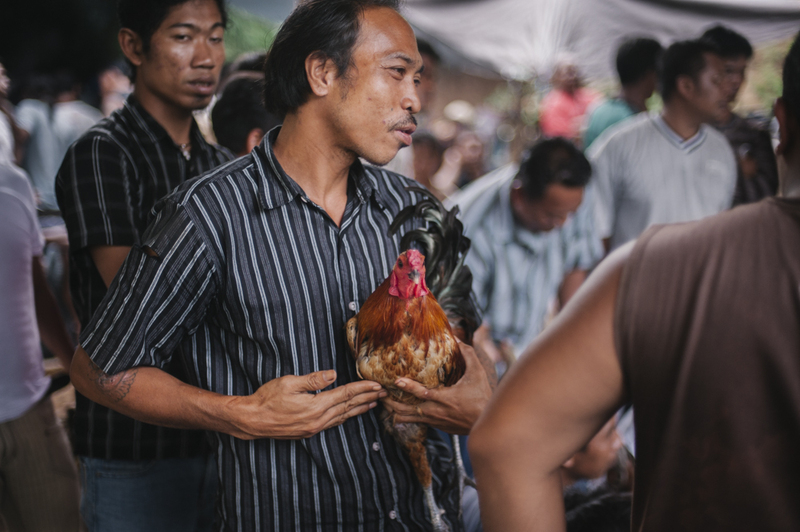 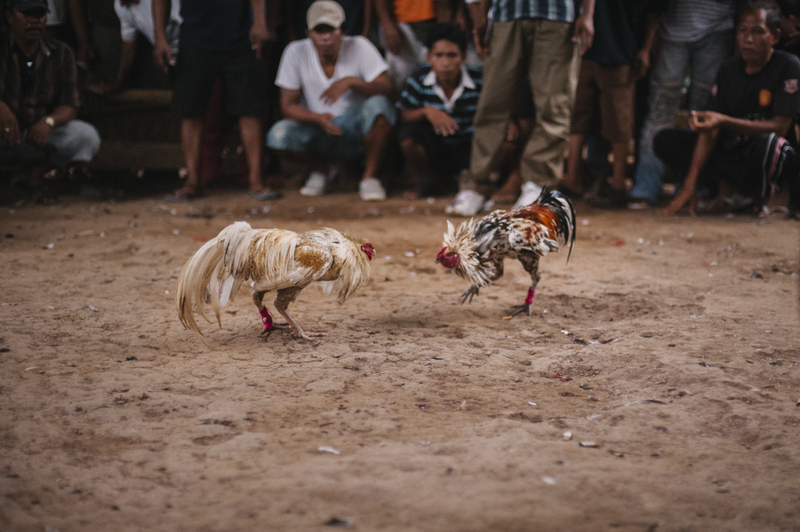 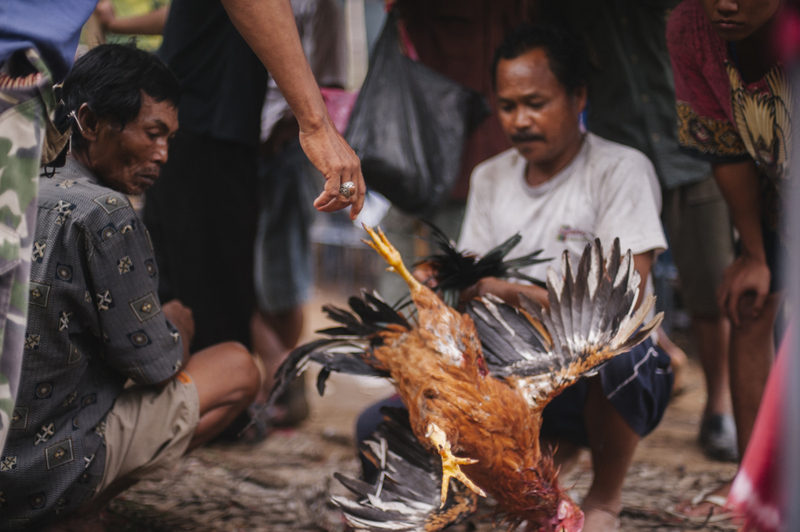 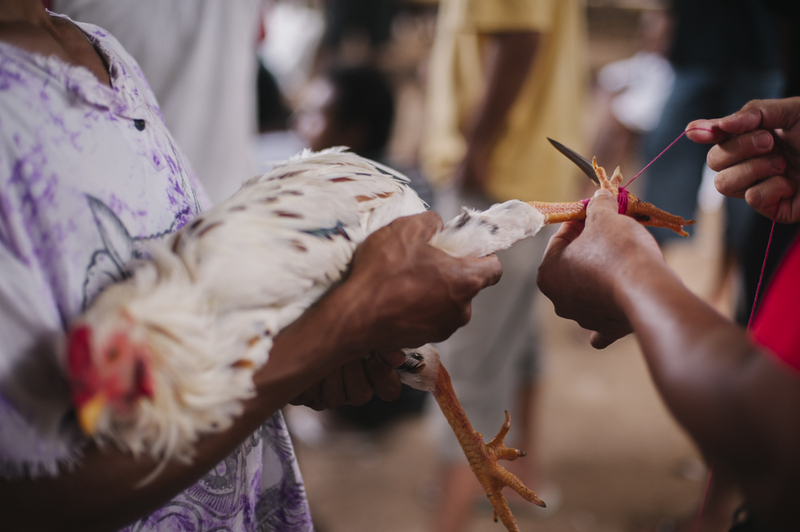 Cockfights — or “tajen”, as they are known locally — are more than just a way to gamble. 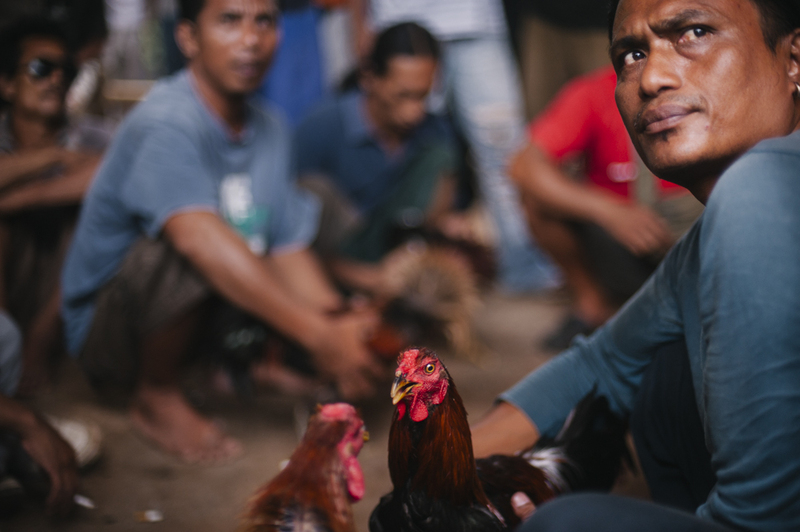 To many they are a way of life in Bali, Indonesia. 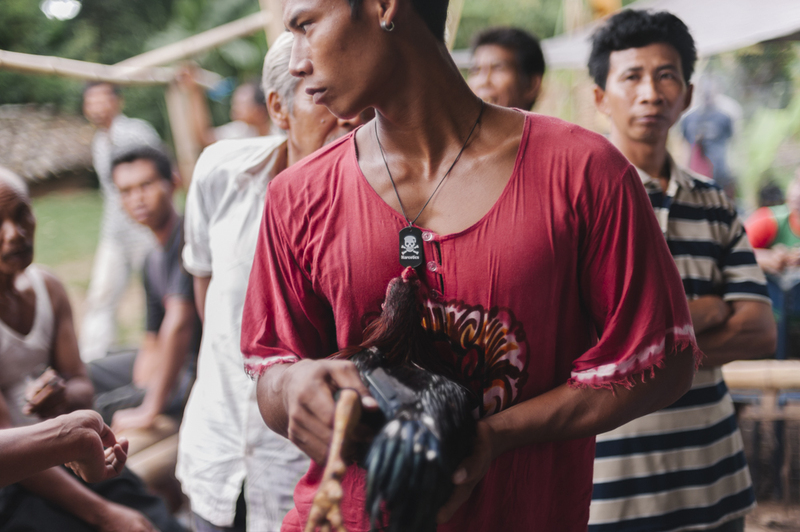 Taking place almost every day in some regions, tajen are also used in religious ceremonies requiring some sort of blood sacrifice. 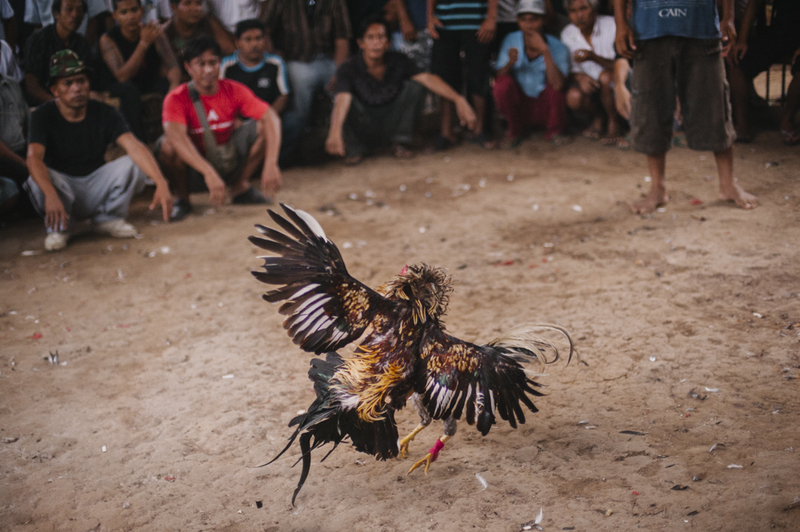 As gambling is illegal in Indonesia, most of the fights are organized in smaller towns and villages, where they can remain somewhat hidden from public view.